Where Can a Licensed Vocational Nurse (LVN) Work? 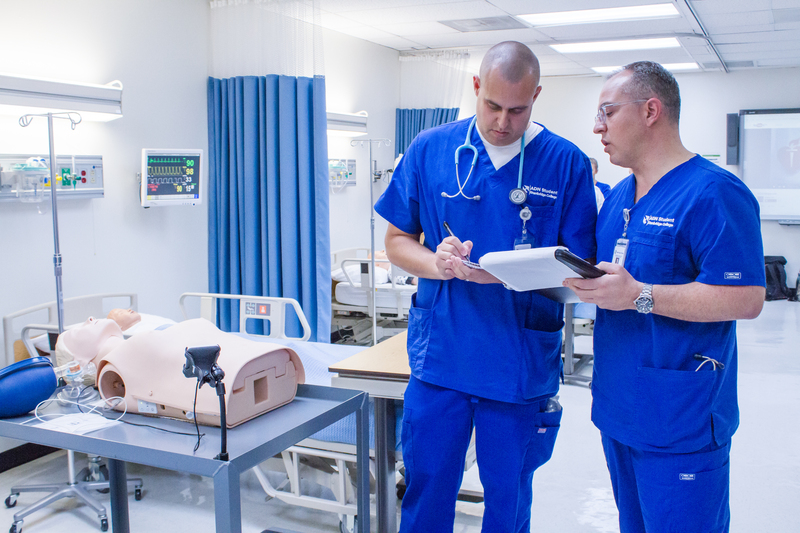 Contrary to popular belief, vocational nurses can work in a wide variety of environments. Licensed Vocational Nurses (LVNs) have the flexibility of being necessary for many medical facilities and environments. LVNs are simply known as nurses, and nurses are needed all over the world, pretty much anywhere a doctor cares for patients. Most LVNs work in skilled nursing and assisted living facilities, hospice care facilities, Alzheimer’s and dementia care facilities, physicians’ offices, urgent care clinics, home health care facilities, ambulatory surgery centers, and community care facilities for the elderly. They can also work at outpatient clinics, drug and alcohol recovery centers, dialysis centers, schools, blood banks, psychiatric hospitals, and correctional facilities. Depending on the area of expertise, an LVN can tailor-make their own personal dream job by choosing a facility or organization that specializes in their preferred field of interest. Some specializations can be pediatrics, labor and delivery, neonatal, oncology, neuro ICO, trauma ICU, burn unit, cardiac ICU, emergency room, rehabilitation, gerontology, and more. Working in a hospital setting gives LVNs the ability to care for patients that are acutely ill or have just had major surgery or illness. The LVN works under the supervising Registered Nurse (RN) who is caring for patients. Most community hospitals hire LVNs, and shifts typically run about 12 hours with every other weekend off, and rotate. Working in a nursing facility allows LVNs to be in charge of patient care. Patients in nursing facilities are not expected to improve and are there for very long periods of time. This setting gives a lot of control to the LVN and allows them to build personal relationships, instead of rotating patients every couple hours or days. The work schedule at a nursing facility depends on the facility but is usually 8-12 hours per shift, with every other weekend off, and rotating. Some LVNs choose to work in a rehabilitation setting, which include short-to-mid-term length improvement and offer LVNs the opportunity to build relationships and help patients recuperate. Collaboration with physical therapists, occupational therapists and speech therapists is also part of the LVNs and RNs roles in this setting. Work schedules for these facilities depends on the facility but usually sticks to the 12 hour shift with every other weekend off, and rotating. Home care is another option that many LVNs take advantage of. Some patients require home care with an experienced LVN several hours per day so that the family is able to maintain their regular lives. LVNs also help make sure the medical plan continues at home and provide patient education on their health, plan, and areas of improvement. Each situation with home care is different, depending on what the patient needs. It is a calmer setting than hospitals or nursing facilities, where LVNs get to devote all their attention and care to just one patient for long periods of time. To learn more about licensed vocational nurses, please visit: https://www.bls.gov and the http://www.bvnpt.ca.gov. Learn more about Stanbridge University’s Vocational Nursing program and apply to train to become a VN today.